Querydsl is a framework that supports statically typed queries. 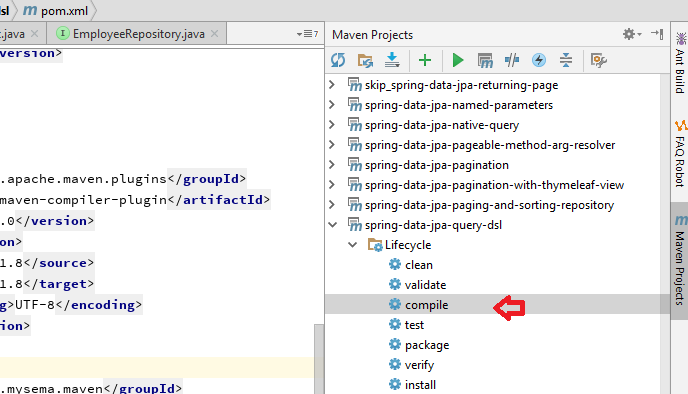 The framework uses an annotation processor to generate Java types based on JPA entities. (check out these tutorialsto understand Java annotation processor concepts). 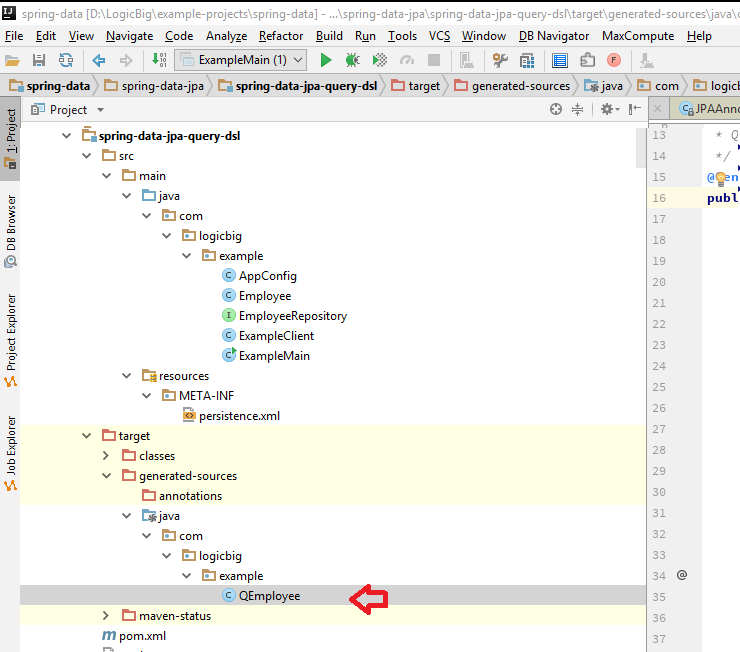 Before we can use our Querydsl related repository methods, we need to compile our entity which will generate code (QEmployee will be generated for Employee entity).